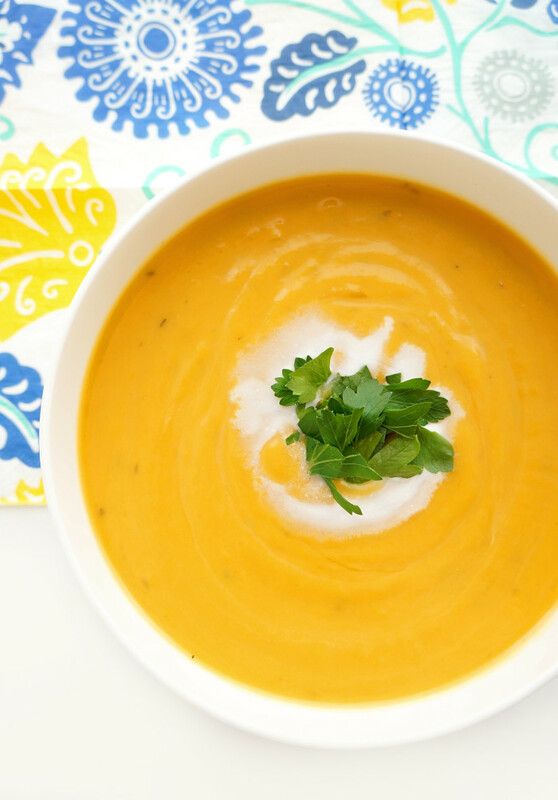 This healthy sweet potato soup is super creamy, flavourful and perfect for the whole family to enjoy! The ultimate warm and cozy soup for a cold winter day! Lately it has been absolutely freezing…I don’t know what the heck happened. It was practically Spring over Christmas and then BAM, suddenly it became winter in the middle of February. Can you believe it??? I can’t stand when that happens! It SERIOUSLY messes with my bodily temperatures. One thing I do love about chilly days though is that it gives me an excuse to whip up a batch of warm and cozy soup! I absolutely adore sweet potatoes, not only for their taste, but also for their nutritional profile. They are packed full of vitamin A, C, fibre and potassium, so of course when I get the opportunity, I’m going to put them in a soup. 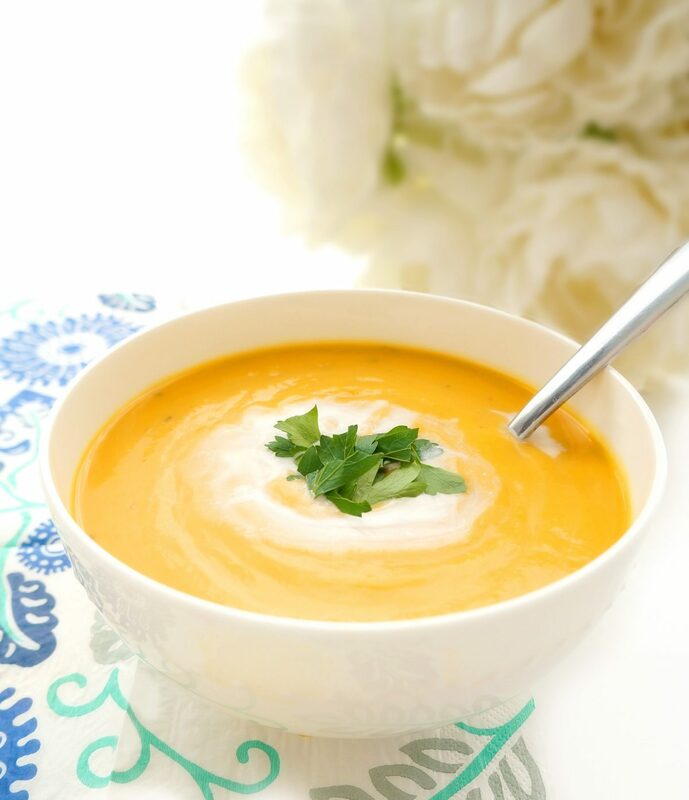 In this soup, I combined THE ultimate flavours…sweet potato and coconut milk. I swear I could eat this soup everyday. It’s so flavourful and creamy, but the ingredients list is actually quite simple. Doesn’t get much better than that! Hope you enjoy this comfy soup as much as I do! In a large pot, over medium heat, heat olive oil and add chopped onion, and celery. Cook for four minutes or until soft, stirring occasionally. Next, add garlic cloves and saute another minute. Stir in diced sweet potatoes, dried thyme leaves and salt. Pour in chicken broth, partially cover and simmer 20 min or until sweet potatoes are easily pierced with a fork. 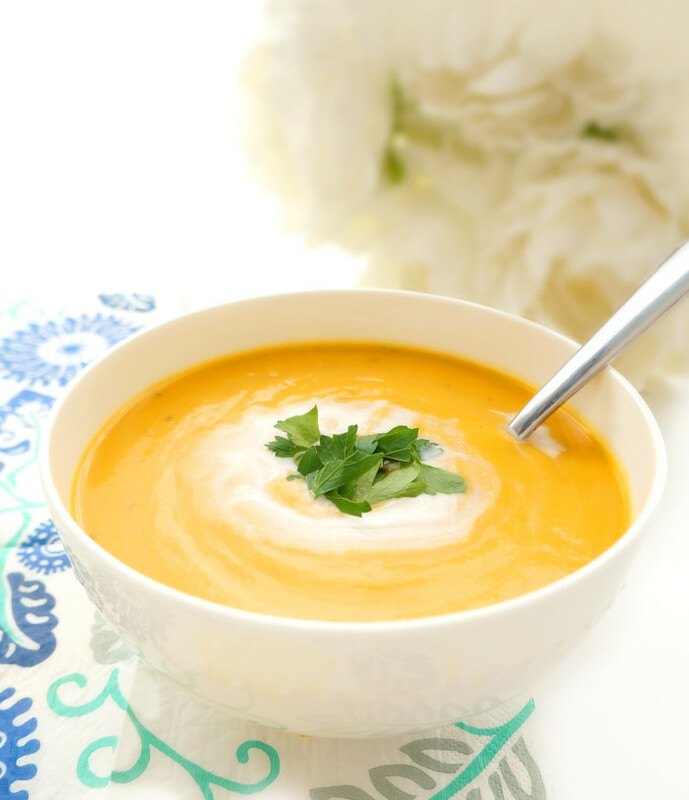 Using a hand-held immersion blender or regular blender, puree soup until smooth. Pour soup back into pot (if using blender) and add coconut milk. Stir to combine. Season to taste. Distribute soup into bowls and sprinkle with chopped parsley, if desired. Looks delish! 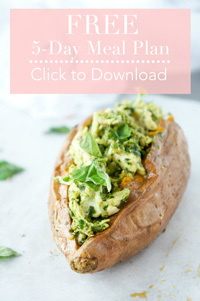 I’ve been looking for more healthy recipes- I’m doing the whole30 right now trying to get back on track after baby #2. Love your posts!